When you're 15th in line to the throne, it's hard to make a name for yourself. The youngest princess of Cochem still needs a christening and she's ten. She can't get a word in edgewise and her fairy godmother isn't helping. If the princess doesn't get a name in 15 days, she'll be invisible for life! Yes, sign me up for Laurel Decher's newsletter! 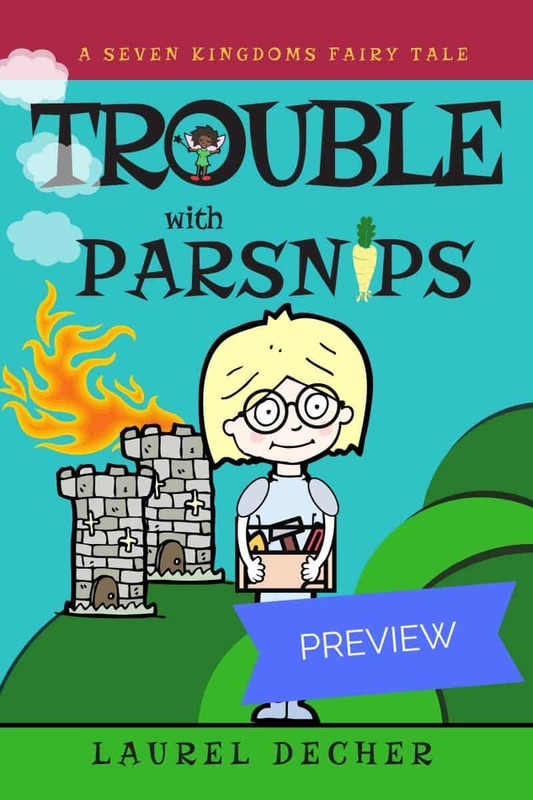 I'll get Trouble with Parsnips PREVIEW: A Seven Kingdoms Fairy Tale as a perk of my subscription, and I'm free to unsubscribe at any time.